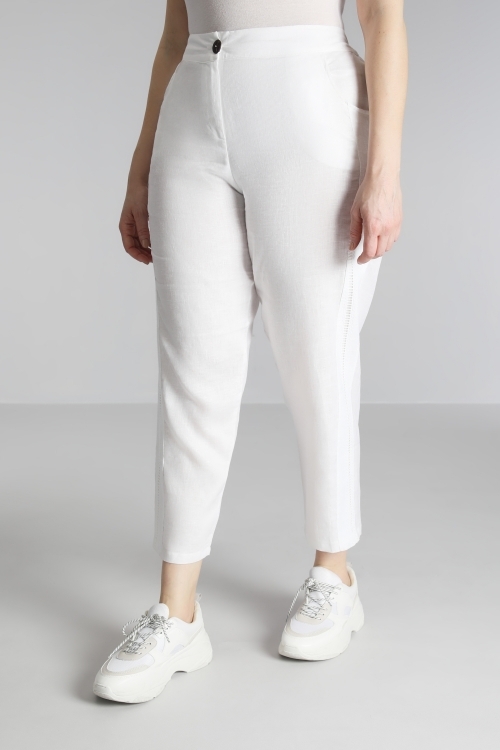 Linen pants with a crochet band for a fresh look. Ideal for the season with its ample cut and composition. Natural, soft, resistant but light, linen is one of the oldest textile fibers. 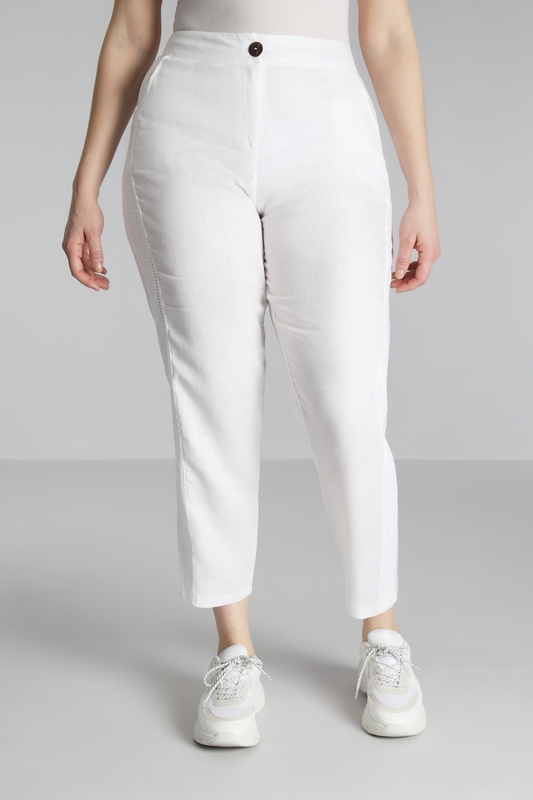 Symbol of purity and elegance, the linen is invited in the line "INTEMPOREL" for the summer.